When I returned home from my tours overseas, I felt a continued need to serve my community. 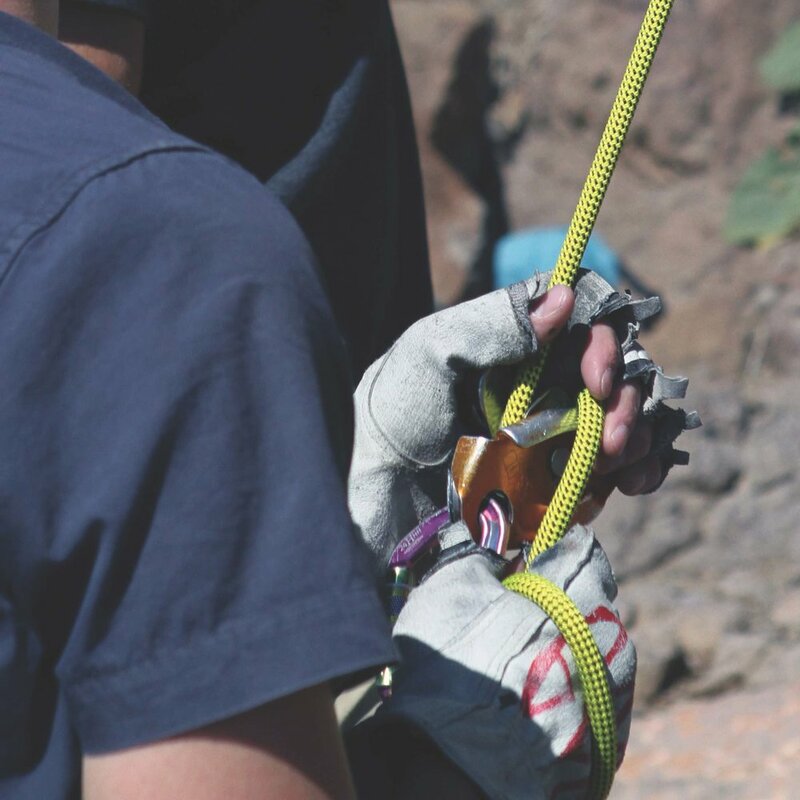 That community happens to be one of rock climbers, alpinists, and mountaineers. When I saw what the AAC was doing with land stewardship and education, it really spoke to me, and I reached out to get involved. That simple step has given me an outlet for service, and it has proven that one motivated person can really make a difference. Through the AAC, I organize Hill to Crag events, where Club members take state and federal legislators climbing. We educate them about the importance of protecting public lands and about the benefits of outdoor recreation for local and national economies. We’ve had great success with all four of these events so far, but one in particular stands out to me. 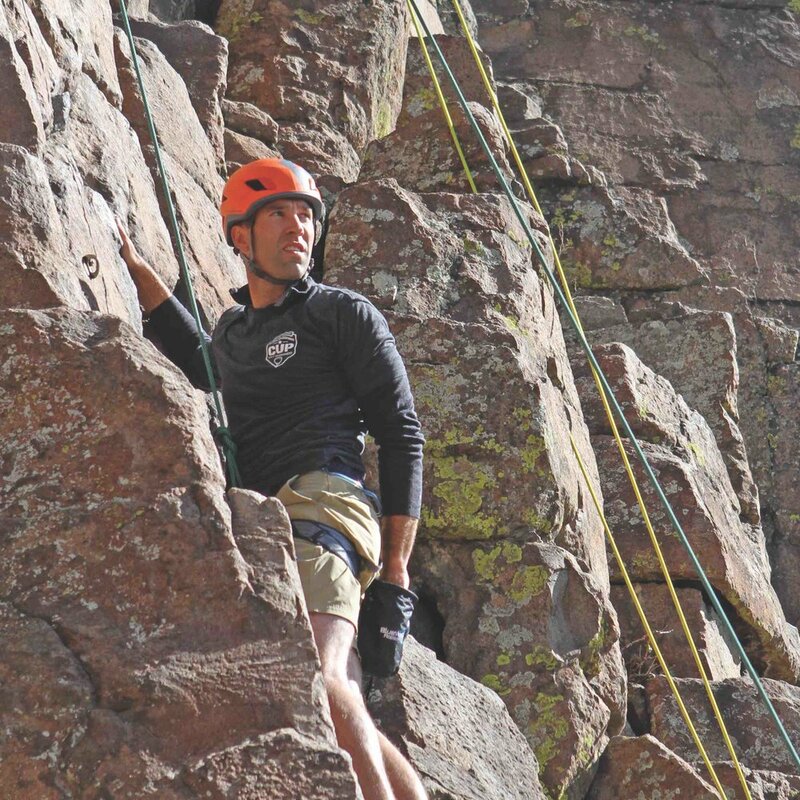 In May 2018, I had the honor of climbing with Utah Congressman John Curtis. It was his first day on rock. The AAC took Congressman Curtis, his staff, Emery County officials, the Utah Director of Outdoor Recreation, and several of our climbing partners to Joe’s Valley. We discussed his bipartisan Emery County Public Land Management Act and changes to the bill that would benefit the climbing community—and, of course, we enjoyed a beautiful day out among the sandstone and juniper. 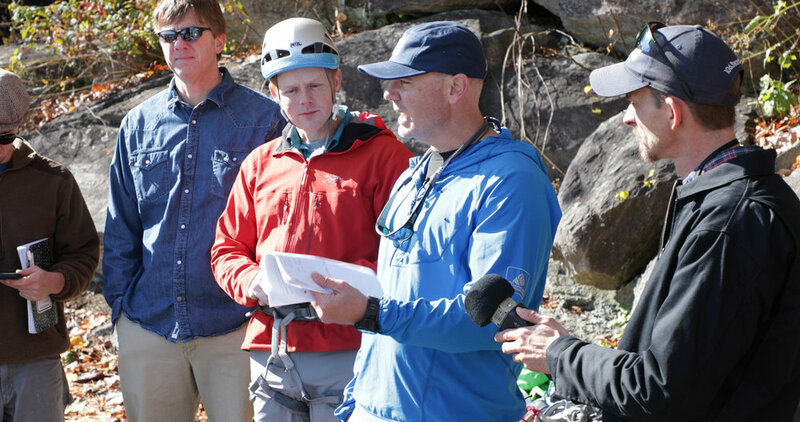 As a result, Congressman Curtis’ legislation has evolved in support of the climbing community and use of fixed anchors. His bill, H.R. 5727, is a step forward in solving long-standing conflicts over public land. It’s a victory, but our work isn’t done. You’ve certainly heard about the many threats to public lands in Utah, where I live. The places where we climb are in jeopardy of being sold to the highest bidder and permanently closed. Bears Ears National Monument was slashed in size, the state auction of Comb Ridge shut down climbing access there, and an aggressive push for resource extraction puts national parks such as Zion and Capitol Reef in a vulnerable position. We are on high alert in Utah—but these losses and new dangers are not unique to our state. Attacks across the country are underway, and the results could be disastrous, including permanent loss of beloved national landscapes and climbing areas close to you. There is no shortage of disheartening news stories on these topics. It can be overwhelming. But you’re not alone in hoping for change. According to the AAC’s 2018 survey, protecting public lands is by far the #1 priority for our community of 23,000 climbers. Continue to support your Club in its work for public lands. 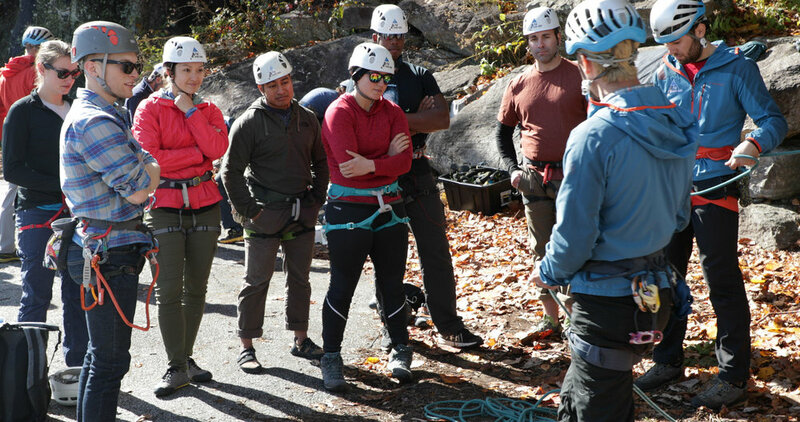 The AAC helps organize the Climb the Hill lobbying event every year and works tirelessly with dozens of partners locally and nationally to change policy so that it benefits climbers and our environment. Continue to tell your elected representatives how you feel about the places that matter to you. 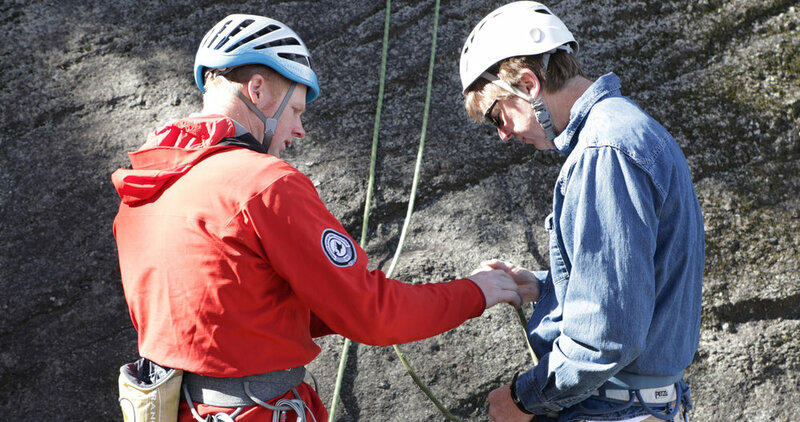 Share your love of climbing with someone new and introduce them to the landscapes you love. I implore you to think about what really matters in your life, and how you can make time to make a difference. 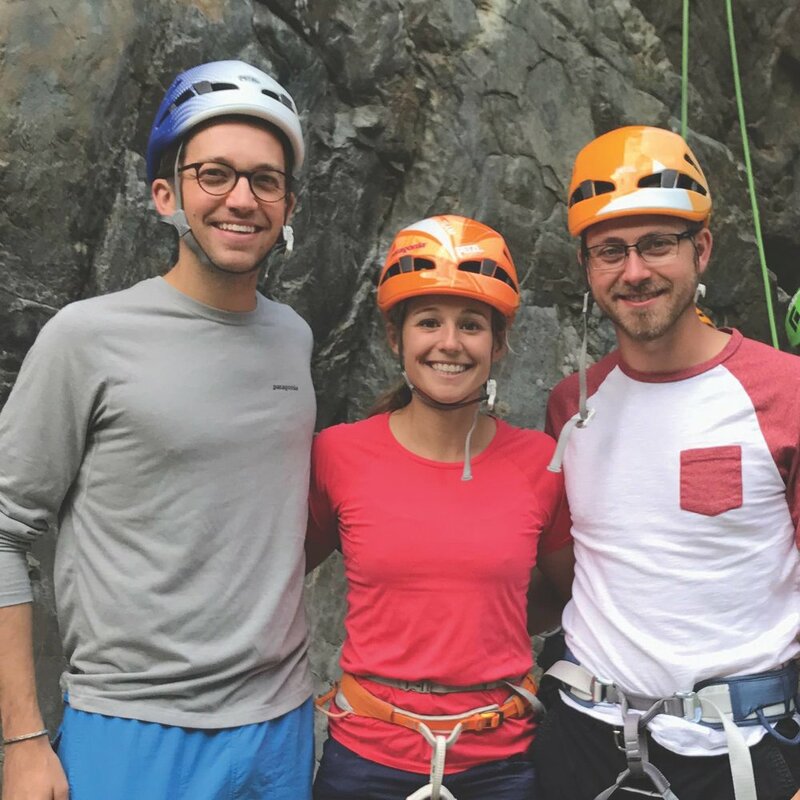 My experience with Congressman Curtis in May was a powerful reminder that the AAC is my conduit to preserving climbing lands for my children, and for the climbers who come after them. It can be yours, too. The threats to our public lands are real and happening RIGHT NOW. Your year-end gift makes it possible for the AAC to stand up for these places on your behalf. Will you join me today in giving back? There is nobody but us to ensure that our mountains forever remain secure, open, and thriving wildly. 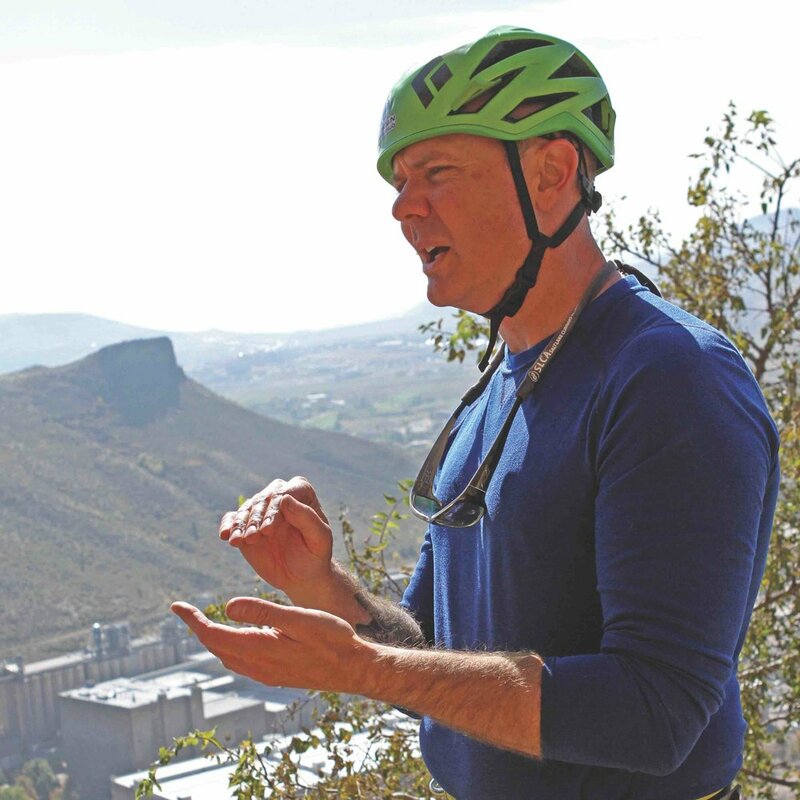 Member and author Byron Harvison organizes the AAC’s Hill to Crag events, where Club members take state and federal legislators out climbing. Below are three events that Byron held this year in Chimney Rock, NC, Golden, CO, and Vedauwoo, WY. 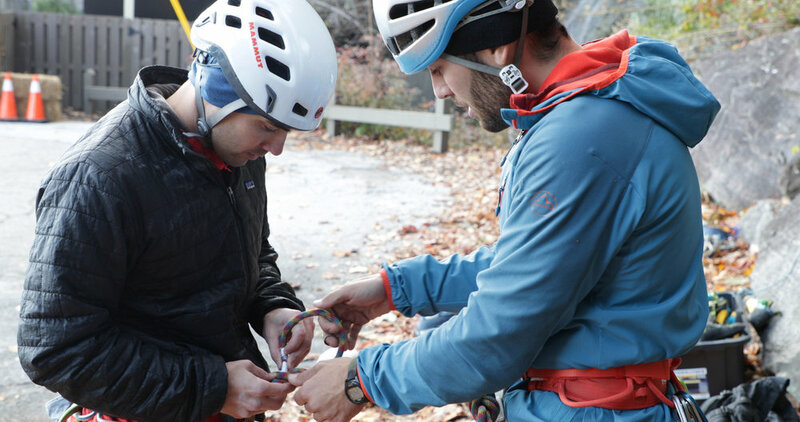 A third event took place at Chimney Rock, NC on November 16th. Learn more about the Hill to Crag events and our military member engagement via this press release.